Tweet Welcome to the Nothing Shocking Podcast Episode 125. 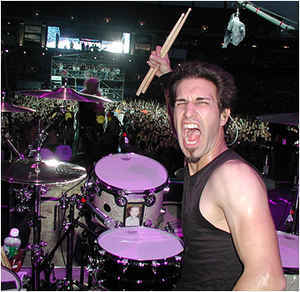 On this weeks episode our guest is drummer Brian Tichy. Brian has played with everyone from Zakk Wylde & Slash to Foreigner to White Snake to W.A.S.P. On this episode we spent a lot of time digging into the album “Pride and Glory” that Brian did with Zakk Wylde. It was a great episode and we can wait to have Brian back on. Also returning guest, producer Chris Collier stopped by to talk about what he’s been working on.